There is a radiant energy that moves through the world and flows in each and every one of us. This energy, known in the yogic tradition as prana, is carried throughout our bodies through something called a vayu. Vayu translates to “wind,” and our vayus are responsible for transferring this energy throughout the body. 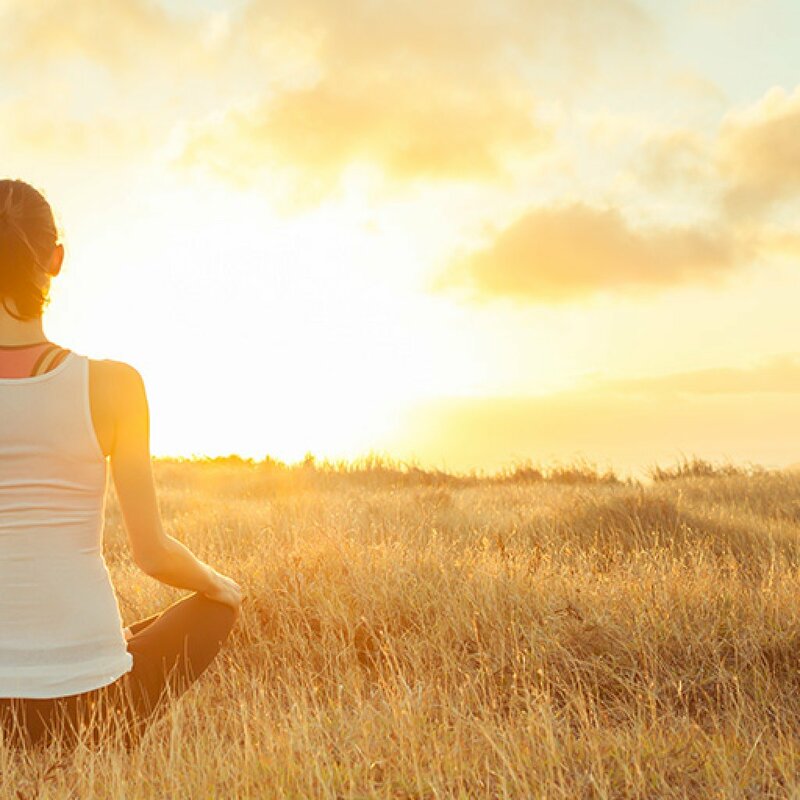 Although vayus are subtle, they have a huge impact on how our bodies feel, so learning to move with their natural rhythms and find balance is absolutely vital for our health. 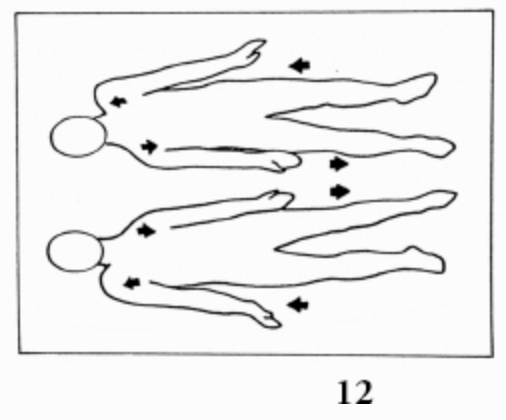 Prana Vayu – moves in the chest/heart area and is associated with the Air Tattva. It governs respiration, immunity, vitality and the heart. When it is weak, fatigue, as well as lung, immune, heart and boundary issues can manifest. When it is strong, there is sufficient energy and immune response in the body. 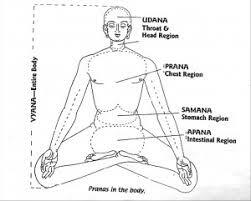 Udana Vayu – moves in the throat and head area and is associated with the Ether Tattva. It governs growth, communication and intuition. A weakness in Udana Vayu manifests as an irregular and uncertain voice. When it is strong, you have the power to project and penetrate with your word. Samana Vayu – moves in the navel region and is associated with the Fire Tattva. It governs digestion, absorption, assimilation and manifestation. When it is weak, a person is unable to assimilate experiences and there will be mental and emotional confusion. When it is strong, there is emotional clarity. Apana Vayu – moves in the pelvic floor area and is associated with the Earth & Water Tattva. It governs elimination. When it is weak, there is a slow, heavy energy. When it is strong, there is a sense of security and inner stability. 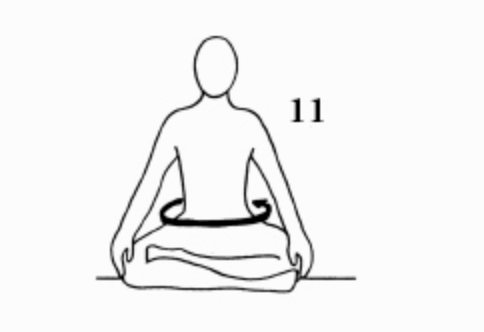 Vyana Vayu – circulates throughout the whole body and is also associated with the Ether Tattva. It governs circulation on all levels and provides a sense of cohesion, integration and expansiveness. When it is weak, we feel disconnection and sluggish. When it is strong, we feel integrated and connected. These five Vayus must have a combination and a balance. 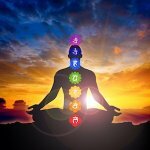 The following kriya, from Owner’s Manual for the Human Body and Praana Praanee Praanayam, moves all the Vayus of the body and brings an equilibrium to the entire glandular system. 1. Sit in Easy Pose. Put your hands on your knees, keeping your spine straight and stretched upward. Keep your arms straight. 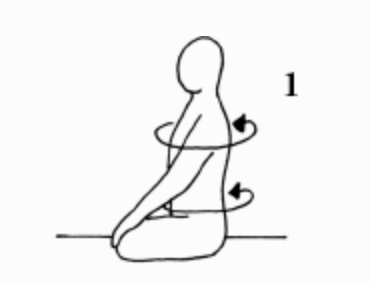 Create a small circular motion at the base of your spine. The circular movement of the upper body is not broader than that at the base of the spine. Don’t let the spine bend, so that the movement of the whole spine is governed by the circling movement at your base. 2. Stay in Easy Pose with your hands on your knees. 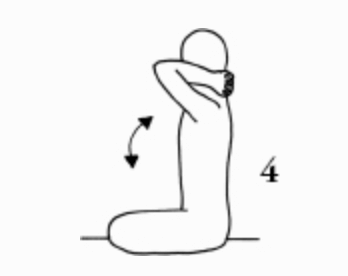 Bend to the left, touching your forehead to your left knee. Rise up and then bend to the right, touching your forehead to your right knee. Rise up and continue 1 Minute. 3. 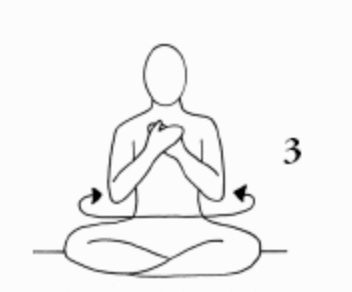 Stay in Easy Pose and place both hands, one on top of the other, at your heart center touching your chest. Twist your body left and right, moving from your navel point, using your shoulders as a fulcrum. 1 Minute. 4. Still in Easy Pose, lock your hands behind your neck, keep your spine straight, and bend forward toward the ground and rise up. Move quickly and rhythmically. 1 Minute. 5. Get into Cat-Cow position and begin flexing your spine up and down as rapidly as you can for 15 Seconds. Then, as your head comes up in Cow, lift your hands from the ground and clap. As your head bows down in Cat, return your hands to the ground. Continue 1 Minute. 6. Squat down in Frog Pose with your heels together and your fingertips on the floor between your knees. Balance on the balls of your feet. 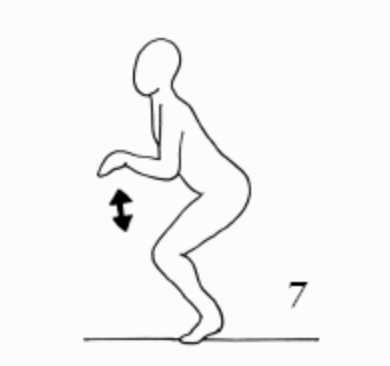 Inhale and straighten your legs, exhale and return to the squatting position. Do 21 Frogs. 7. Stand like a kangaroo with your knees bent and your arms close to the sides bent at the elbows and wrists so that your arms look like a kangaroo’s forepaws. From this position, jump up and down. Do 21 Kangaroo Jumps. 8. Lie on your stomach with your heels together and your hands on the ground under your shoulders. Rise up into Cobra Pose. 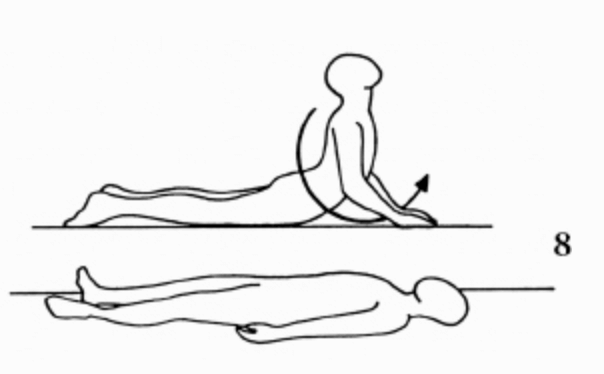 From Cobra Pose quickly roll your body to the left so that you end up lying on your back on the ground. Roll back onto your stomach and rise back up into Cobra Pose. This time roll your body to the right, rolling quickly over so that you again end up on your back on the ground. Roll back onto your stomach, up into Cobra Pose, and continue. 1 1/2 Minutes. 9. Lie on your stomach and grab your ankles. 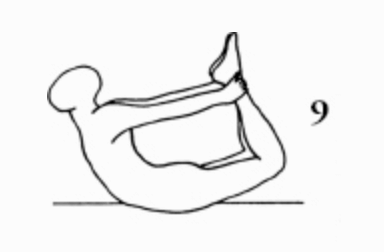 Press your legs away and raise your chest up, coming up into Bow Pose. Begin a strong Breath of Fire so that your belly button moves. 1 Minute. 10. Sit on your heels, and then spread your knees, placing your buttocks on the ground between the heels. 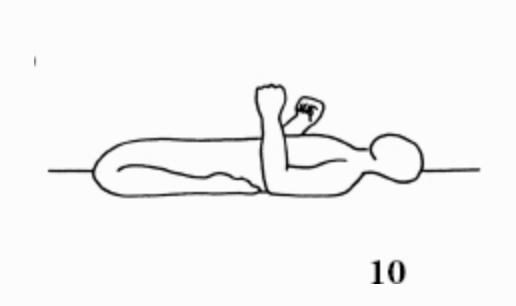 Lie back so that your upper body is on the ground. With your fists begin drumming your upper chest (the lymph area) for 20 Seconds, then gently drum on your belly for 15 Seconds, then heavily drum your thighs for 15 Seconds, then gently drum your navel point for 10 Seconds, and then drum both sides of your neck for 15 Seconds. 11. Sit once more in Easy Pose with your hands on your knees. Rotate your upper body 51 times counter-clockwise, squeezing the digestive area. 12. Lie down flat on your back. Extend your left hip and shoulder downward while you stretch your right hip and shoulder upward. Then extend your right hip and shoulder downward toward your feet while stretching your left hip and shoulder upward. Move diagonally and move powerfully. 2 Minutes. 13. Still lying on your back bring your knees straight and your heels together. 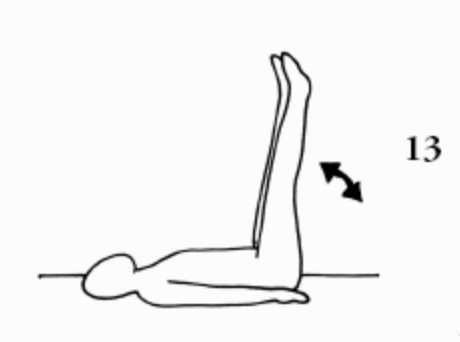 Lift your legs up to 90 degrees and lower them back down with Breath of Fire. Move quickly. 1 1/4 Minutes. 14. Still on your back, lock your hands behind your neck and rise up straight. Bend forward, bringing your upper body down to your thighs and then lie back down flat. Move quickly and continue this movement for 1 1/2 Minutes. 15. 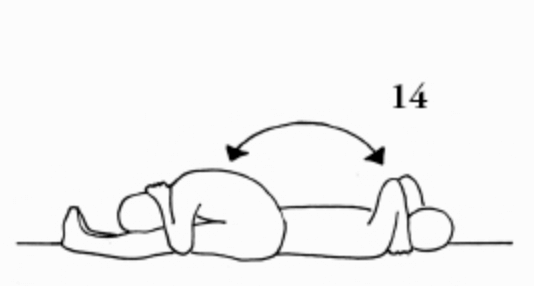 Lie down flat and completely relax your body for 11 Minutes. “Feel the shakti (energy) moving in your spine… from your tailbone to the top of your head.” Listen to the mantra Jai Teh Gang. Yogi Bhajan played the gong to further activate the shakti energy. 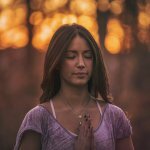 Yoga for Beginners: What is Pranayama?